Need more information about booking Home 6928444 ? Gite Chivalry. Intimate, environmentally, its inner gypsy tones, warm soul, its solid wood, in summer this cocooning open to the outside reveal the taste of freedom and outdoor life. Chivalry, his gypsy caravan, his cottage, swimming pool, the passion of a return to nature and discover the Maine et Loire and Anjou, arouse romantic getaways, cultural, historical and fun. The flexibility of an offer to stay one night to a week for 12 months the year at competitive rates make the dream accessible. 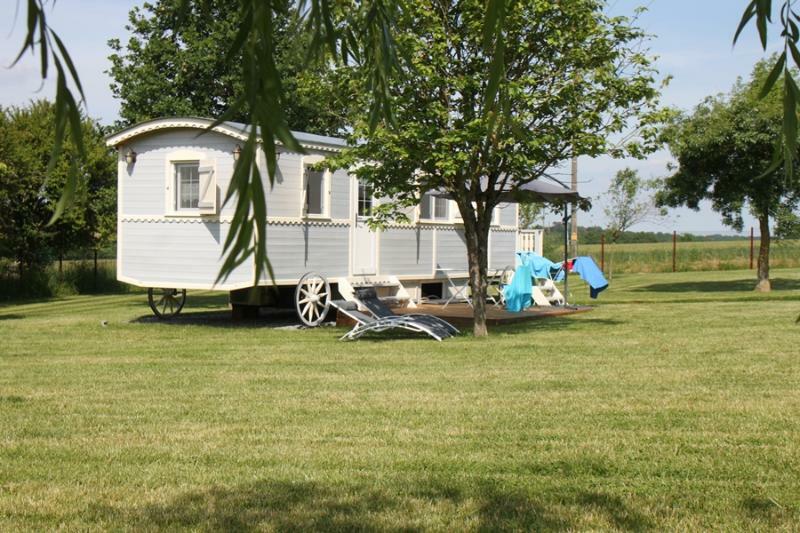 On the road of wines, the Loire castles and ocean, our former seventeenth century farmhouse, Chivalry houses its gypsy caravans and shelter. Our business location near a service road (A11) provides an immediate feeling of immersion in nature away from urbanized areas. Each of our accommodation, offers something different: capacity, exhibition, garden, their tone, you will definitely find one that suits your tastes and your way of living the holidays. The heated pool from May to September, sheltered hedges, terrace, discovery activities, sports and leisure activities quietly. From your cottage or your camper, hiking trails, wine areas, for a wine tasting ... Marked cyclo-tourists tours take you on the Loire by bike and bike-to francette. Without forgotten from famous sites, the castles of the Loire, the stone quarries, the Blue Anjou, wrens, or outdoor activities, you'll find it all within 1 hour drive away!